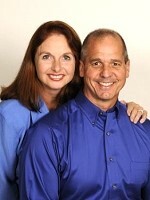 Bill and Kim are a husband and wife real estate investing team. Bill creatively constructed his first deal in 1990, and he’s been helping other investors do the same since 1997. Their investment portfolio consists of single-family rental homes, mobile homes, a small mobile home park, plus notes and options. They built their business square on the back of knocking on homeowner’s doors. Why? Because it’s the fastest, cheapest and most effective way to get face-to-face with homeowners and make written offers.